Every industrial specialty needs transformers and inductors to handle correctly electric power. 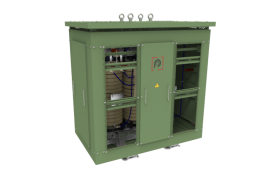 The transformers and reactors used for these applications have particularly robust construction characteristics from an electrical and mechanical point of view and with regard to corrosion resistance, because of their frequent use in environments with high humidity, pollution, dust and corrosive agents. Transformers to work with converters (Variable Frequency Drives) are often customized and tailored for the application. 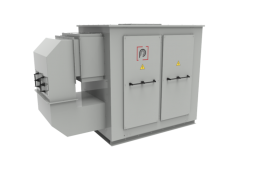 Energy savings and sustainability are the recent developing factors making our multipulse and converter transformers a must have in the modern industry. Industrial transformation and manufacturing require more and more high or very high currents, TMC has the solution to handle up to 50 kA using fluid cooling technologies. Industrial converter transformers can be supplied from several kVA to many MVA. Gas Processing systems require large electrical pumps and compressors which are controlled by Transformer/ VSD systems. When installation space is at a premium and ‘power density’ critical, the use of higher thermal class insulation system can be useful. The insulation system is also completely flame retardant and safe for installation in public areas. LV transformers are almost always present in manufacturing plant to adapt local LV voltages to specific machinery requirement or to feed low voltage converters to pilot a motor. 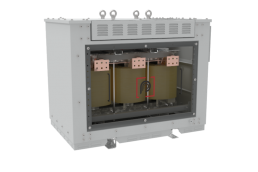 Common technology for LV transformers is VPI (Vacuum Pressurized Impregnation).